The Quad Cities Community Foundation puts philanthropic tools to work so that people’s passions fuel positive change and grow a vibrant community. Our community's needs are constantly changing, so we make it our priority to bring people together to discuss and act on important community issues. Here’s just a few of the ways that we continue to support the growth of our community to ensure that generosity always lives here. The Q2030 Regional Action Plan is uncovering specific ways we can be better, and is bringing people together to take action on critical opportunities like enhancing our 21st century workforce and the I-74 corridor, finding ways to be a more a welcoming and inclusive community, and strengthening our reputation as a manufacturing hub. 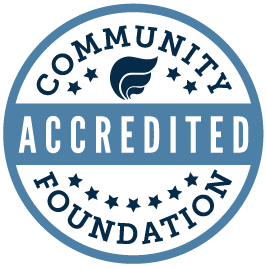 The Quad Cities Community Foundation staff have taken leadership roles on committees, and we also awarded a Transformation Grant to provide backbone support for the initiative. Forward Cities is a national learning network of cities committed to advancing inclusive innovation and economic development in their communities. The Quad Cities Community Foundation convenes community leaders together twice a year for national conferences to deepen connections, strengthen opportunities for collaboration, and advance our understanding and commitment to inclusive innovation and shared prosperity in the Quad Cities. The Quad Cities Community Foundation served as a host for three Big Tables at our offices during the first annual event, sponsored by the Quad Cities Chamber of Commerce and a whole host of businesses and nonprofits (including us!). We gathered donors and nonprofits together to talk about issues most important to them, and continue to find ways—like our Q2030 Grants—to support initiatives that make the region cool, creative, connected and prosperous. We are committed to continuing these conversations, and finding the ways we can take action, to strengthen our entire region.